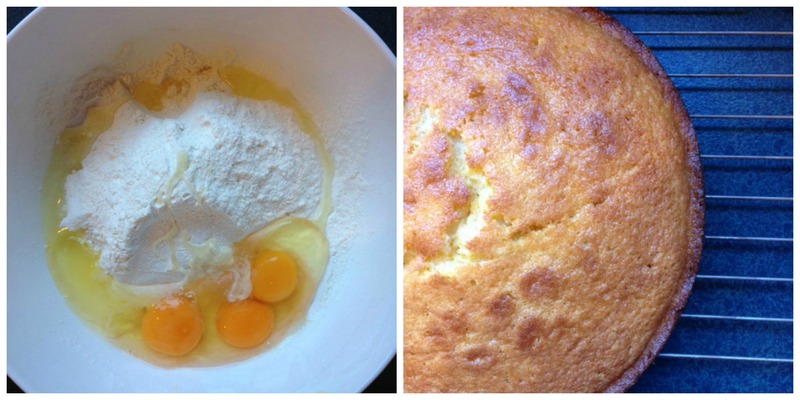 This deliciously-light, zesty cake is a nice alternative for Easter baking if, like me, you don’t like hot cross buns (I can’t be the only one, right? Right??). It is as simple as a cake recipe can be, and unusual in that the flour is mixed in with everything else right from the start. The batter is quite thick, but the resulting cake is surprisingly light. Tall and I really liked the tangy icing, but it was a bit tart for the little ones. Next Easter, I think I’ll make a slightly less lemony topping, simply so I don’t end up eating half a cake! Preheat oven to 180degC. Grease and line the base of a 20cm square cake tin. In a large mixing bowl, beat together the butter, sugar, flour and eggs until light and creamy. Stir in the orange zest and juice. Bake for around 30 minutes, or until risen and golden, and firm to touch. Cool in the tin for 5-10 minutes; remove from the tin and cool completely on a wire rack. To make the icing, beat all ingredients together to make a smooth, runny icing. Drizzle over the cake and once partly-set, decorate with Easter treats.